Wait, it would appear I’m mixing up not only my songs, but my musical genres… oops. My bad. This place is swanky with super fun décor. You enter the lounge through a swinging chain curtain that immediately made me think of the Brady Bunch episodes where Greg had his own groovy room in the attic with the beaded curtain over the door. Am I showing my age, here? 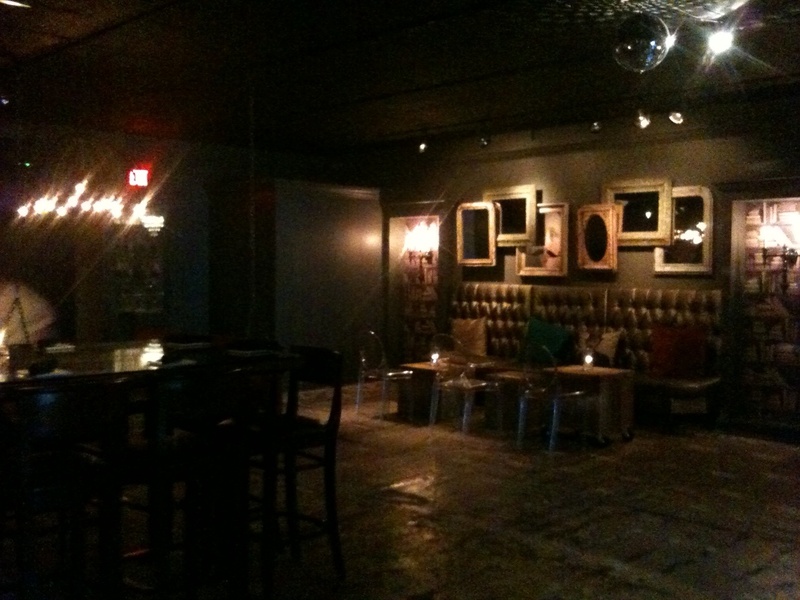 Anyway, Twist is very dimly lit, which prompts me to preemptively apologize for the quality of my phone pics. I’d heard a rumor that Twist does a mean house Manhattan made with an Indiana-produced rye, so that’s what I ordered without even first looking at the menu. This baby arrived in a large water tumbler-size glass garnished with a skewer of those great gourmet cherries (not those artificially red grocery store numbers). They are not messing around here. Jess, our friendly bartender, really seemed to know what she was doing, and this was a damn fine drink. 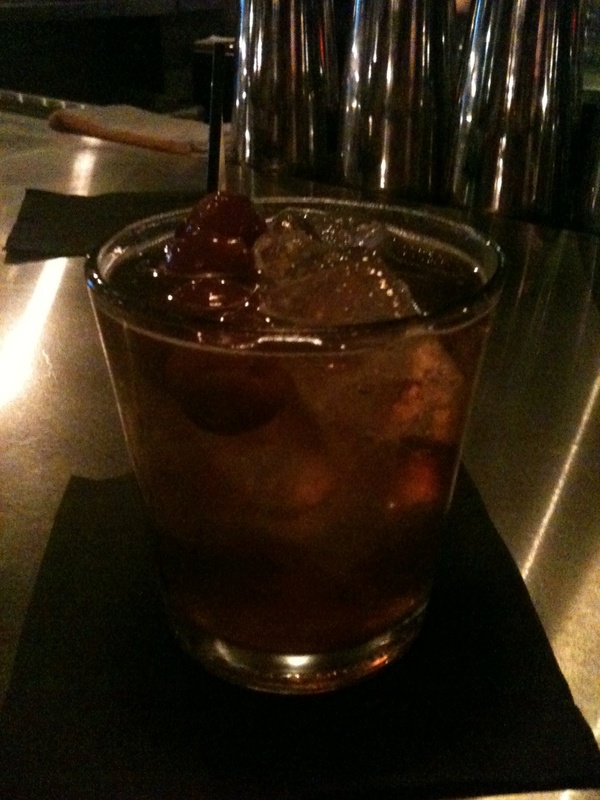 Once I did scan the menu and saw the list of other craft cocktail offerings, I was almost sorry I hadn’t branched out and tried something called a Blood and Sand or a Spicy Little Tart, but I am a bourbon girl, first and foremost. You stick with what works, ya know? My friend ordered a mojito and seemed quite pleased with her selection; Jess told us she’d personally picked the fresh mint that evening. One of those small details that makes a big difference. At 7:30 p.m., we were the first patrons to arrive for the night, and although several other drinkers slowly rolled in, the place never did really fill up. I get the feeling this is more of a weekend or late-night hang. We did see a couple here on a date night, but it’s more the kind of hotspot you hit with a group of gals. I can’t imagine many single guys stopping by for a post-work scotch of their own accord. After sucking down our first round of cocktails probably faster than we should have, we knew we needed food. 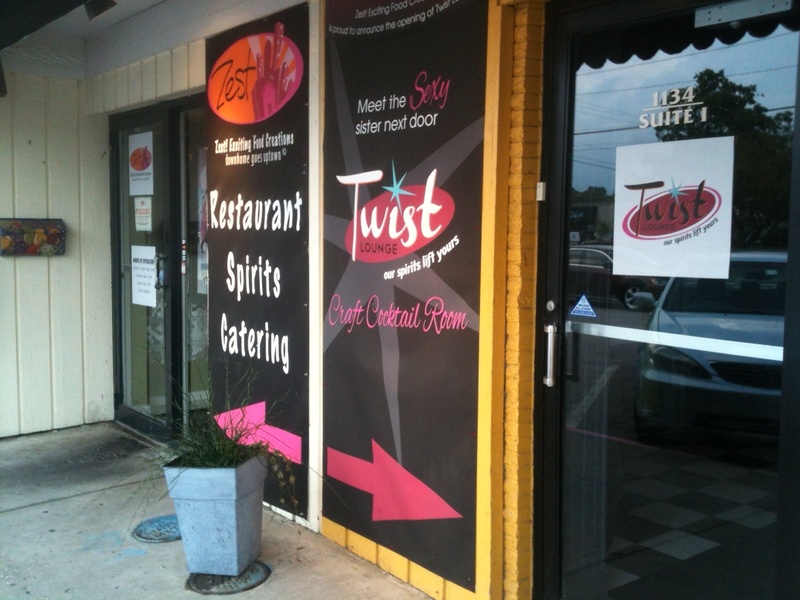 The full dinner menu is available both in Twist and in the flagship restaurant attached. I’ve eaten dinner at Zest before, and love, love, love their three-napkin burger, but they’ve added some new temptations to the menu since the last time I was here. After strongly considering the chicken and waffles, I instead opted for the chile rellenos, and was quite glad I did. These were no ordinary chile rellenos. 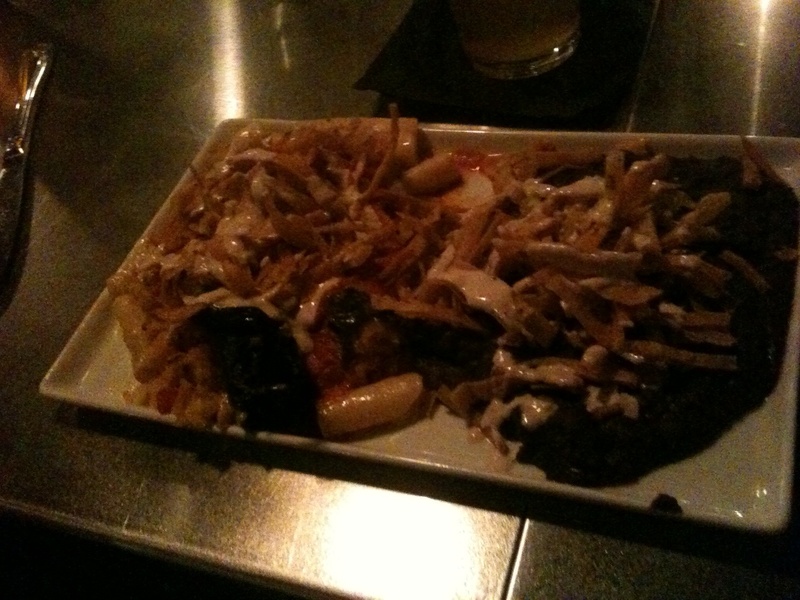 For starters, I only found one small pepper on the whole plate, but no matter. With rice, penne pasta, black beans, sauce and a showering of crunchy tortilla strips on top, there was plenty going on here to fill me up and keep my mouth entertained. 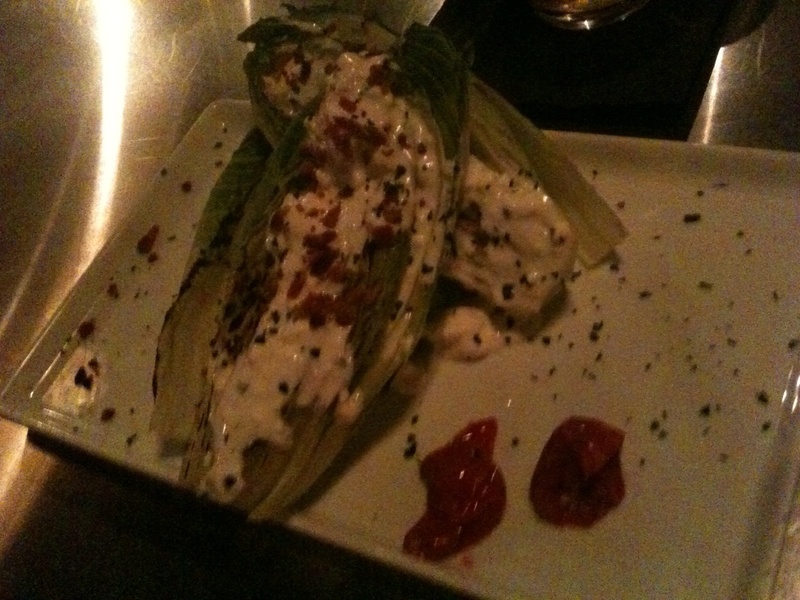 My friend ordered some sort of grilled romaine wedge salad that looked beautiful and delicious. We also each got a pint of local beer to go with our dinners; there’s a solid selection here to choose from.